On the website you will find articles and/or photographs covering exercises and squadrons / wings. Furthermore you can find aircraft order and delivery reports for aircraft manufacturers and countries. The aircraft section is currently being changed with a focus of reports presented by both manufacturer and aircraft role. For the last reporting is done on the primarily role of an aircraft (example: all C-130 Hercules aircraft are reported under Transport / AAR / MRTT despite its many versions and mission specially within the USAF). Countries are added when at least one photograph of an aircraft is available but the main focus will be on EU and NATO countries. Within the Defence budget and review section you will find information about budget plans, request and strategic reviews. Updates will be done on a regular basis. Please see below details for the latest updates made to the website or follow me at Twitter @phantomaviation. All photo's on the website are made by me and are not allowed to be used without prior written approval. 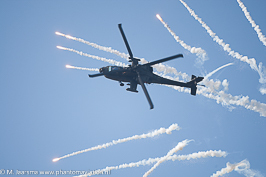 Apr 18: Luchtmachtdagen 2019, Volkel June 14-15. Jan 18: Falcon Leap, 2019 September 9-20. Jan 18: Commemoration WWII Operation Market Garden, 2019. September 21. 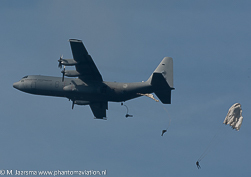 Apr 14: Exercise Frisian Flag, FF 2019: April 1-12. Apr 11: European Air Refuelling Training exercise, EART 2019: April 1-12. Apr 19: Boeing Defense (2019 order and delivery reports). Jan 22: Airbus Defence & Space (2018 order and delivery reports). Spanish Air Force KC-130H Eindhoven April 5. MN ANG 148th FW F-16C during Frisian Flag Leeuwarden April 8. RNLAF F-16AM about to land on runway 05 at Leeuwarden during Frisian Flag.